A surface technology company, we provide specialty chemical finishing products for pretreatment, powder coating and plating. 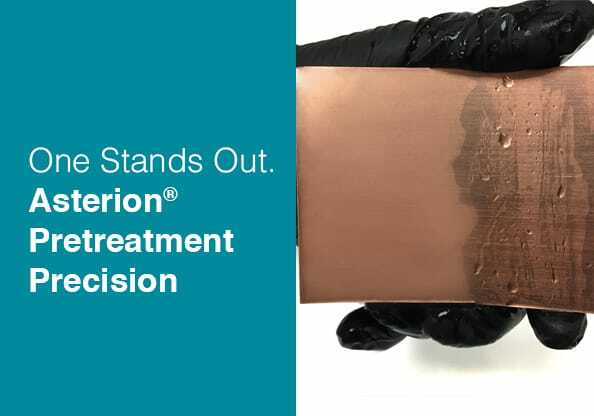 Our traditional chemistry products and custom blended chemicals are used for a variety of applications. 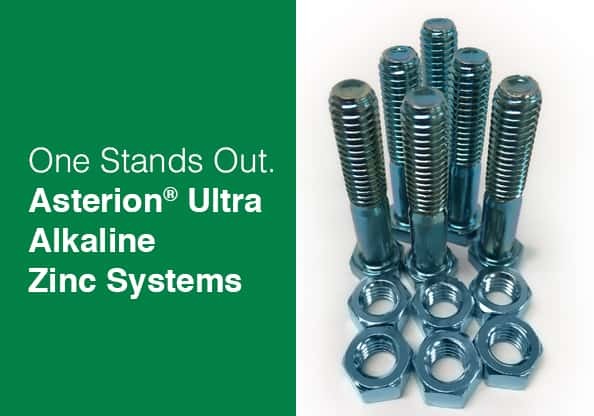 Providing the ultimate in corrosion protection, Asterion® Ultra RoHS compliant systems are engineered to reduce rejects, increase productivity, and enhance appearance.